My little girls were lucky because I worked from home and I made them a yummy lunch. 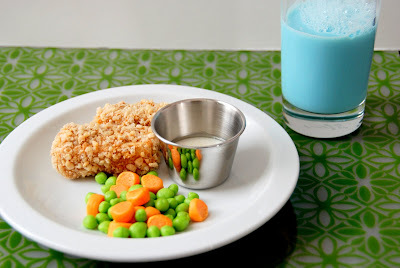 They had fish sticks with tarter sauce, peas and carrots. I believe it is very important to have a well rounded meal for lunch. The girls loved their lunch and they didn't even complain once. Okay, there was one "AH, CARROTS, I DON'T LIKE CARROTS" but she got over it (with her first taste of orange tootsie roll). I got the fake fish sticks idea from Family Fun. I so love that magazine and website. I made a few changes- it's just my nature. 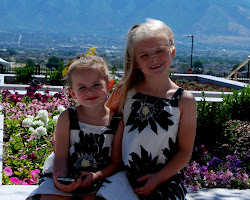 you have two very lucky girls! awesome picture too! This is so fun! You've taken April Fool's Day to the next level!